I’ve always had a soft spot for Unique Home Stays' properties. 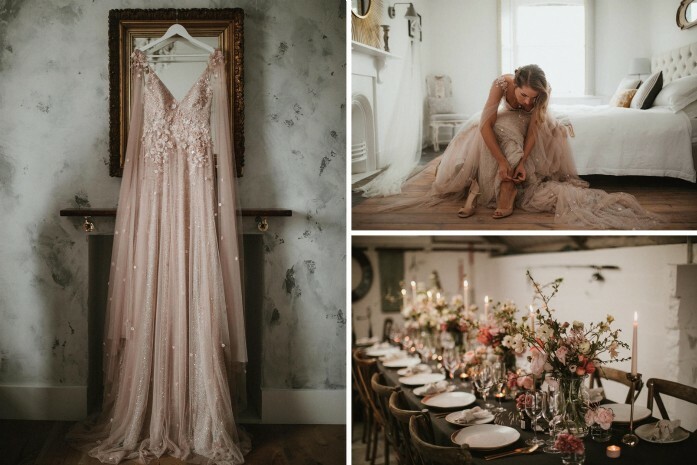 It was even a blissful birthday weekend stay at a Unique Home Stays cottage that convinced my partner and I to move to Cornwall in the first place, so when it came to choosing a venue to shoot imagery for my new wedding planning business, they were my first port of call. I wanted somewhere that felt authentically Cornish, with sailing references, stylish decor and a waterside location. When Stella Maris was posted on the Unique Home Stays Instagram feed I knew it was the one. 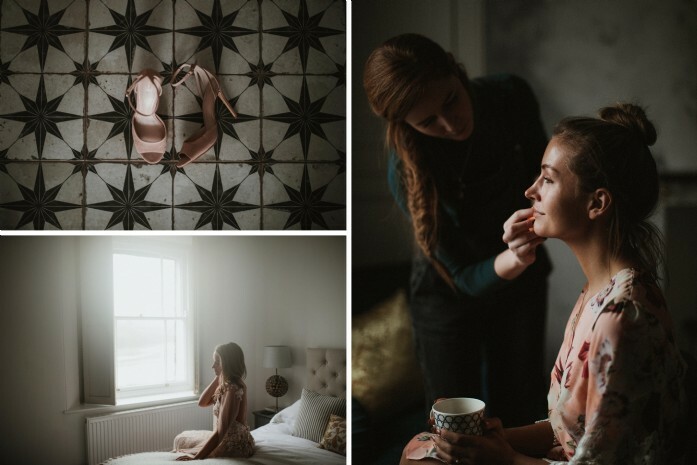 With beautiful light-filled bedrooms and a striking fire place, we had the perfect backdrop to shoot some stunning images of our couple getting ready for their wedding. Stella Maris also has a boathouse with thick white washed walls and a lovely textural flagstone floor - I had a really strong vision of creating an intimate wedding breakfast in here and was delighted with how this turned out. Celebrating a wedding should feel like a special occasion, no matter what number of guests, and so I wanted to create a glamorous Black Tie feel to the day, with Matt in a smart black tuxedo and Lara in a stunning bespoke pink wedding dress. 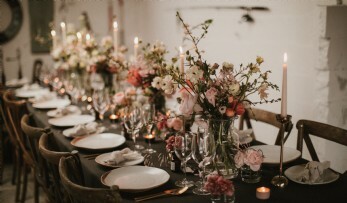 The flowers had a natural, loosely arranged feel with lots of complementary shades of pink. 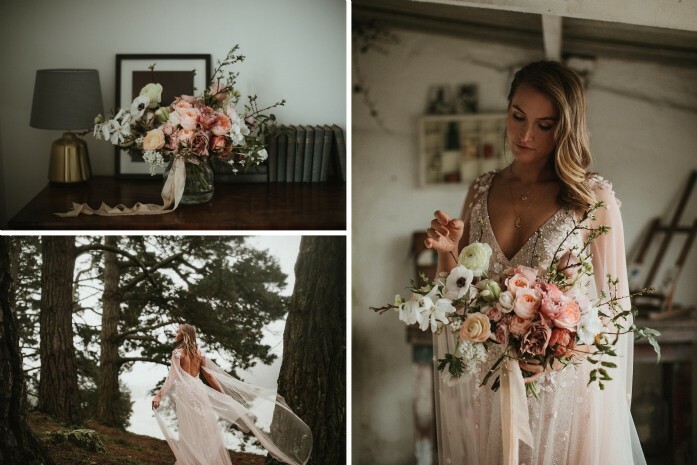 Using butterfly ranunculus, roses, anemones, tulips, magnolia, hawthorn blossom and jasmine we created a setting that looked (and smelt) incredible. The soft tones of the flowers were set off beautifully against the heavy, dark charcoal-grey linen, which is why I love to use darker tones in my styling for weddings. 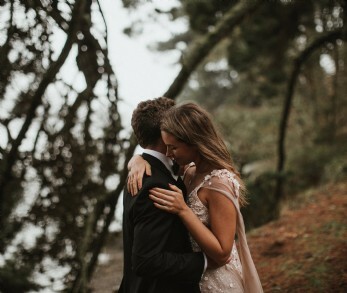 Sadly the Cornish weather was not on our side, but this meant that my photographer, James Frost, captured some incredibly atmospheric images of our couple amongst the giant pine trees that line the Malpas estuary. Stella Maris is truly in a special location and it really showcases an undiscovered part Cornwall. My goal is to help couples plan weddings of any size, from intimate weddings at private home venues such as Stella Maris, to large marquee weddings that celebrate the rugged coastlines of the South West, but always with my signature style of relaxed, understated luxury. Industry expert and wedding planner Fern has been making couples´ dreams come true for over a decade.